So here’s the deal. I made this Indian Kheer, it turned out well, but when you open the pot you’re going to be horrified and think you messed up because everything looks like a big curdled mess. It’s not. Milk separates under pressure, but to me, this is what helps thicken up the final product. Kheer is an Indian rice pudding made by boiling rice, milk, sugar and other various tasty ingredients into a delicious pudding. Though it’s typically boiled on a stove top I’ve opted for the Instant Pot because, you know, convenience. Not to mention I’m a professed kitchen gadget fanatic. It’s actually acts like ersatz version of Khoya, which is milk solids with the water evaporated out of it. Mine also stuck to the bottom a little bit but when I stirred it all in, it just added flavor. All this really did make it taste much better than the two previous versions I made. They were fine, but they lacked a little something. Once I had made this, I realized the milk separating and caramelizing makes all the difference in taste. So just keep calm, stir, add some more milk, stir up everything from the bottom, and enjoy the caramelized end product. As you see, this Kheer has a caramel/pink tinge to it. You want this. It adds a depth of sweetness and thickness that makes this kheer bathe your tongue in creamy goodness. That pristine white you’re used to seeing in the Indian restaurants is not optimal. 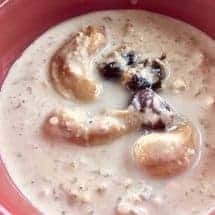 If you enjoy this Indian Kheer recipe, you’ll love this Pressure Cooker Indian Zucchini Kheer recipe. It’s just as good as my Indian Kheer recipe without all the carbs! 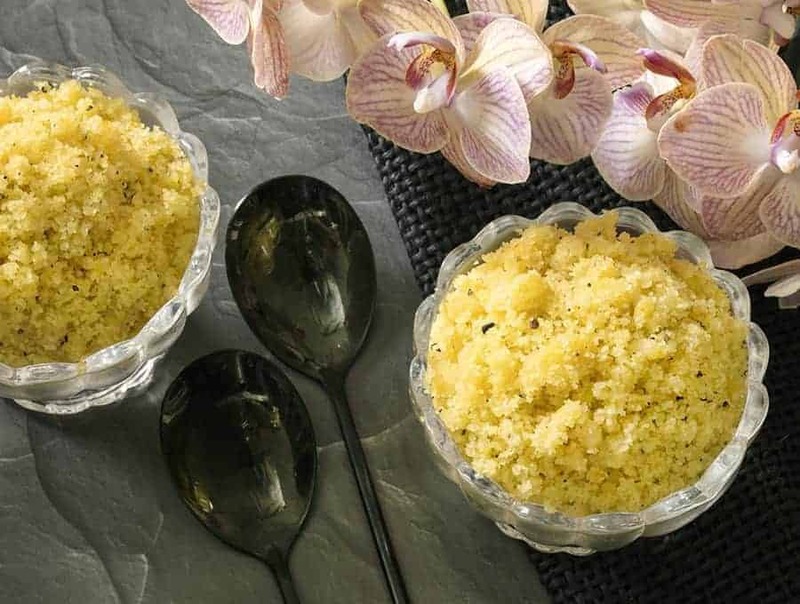 And if you’re looking for more Indian dessert recipes, check out my Indian Halva Recipe. It’s Vegan friendly and easy to make in your Insant Pot! 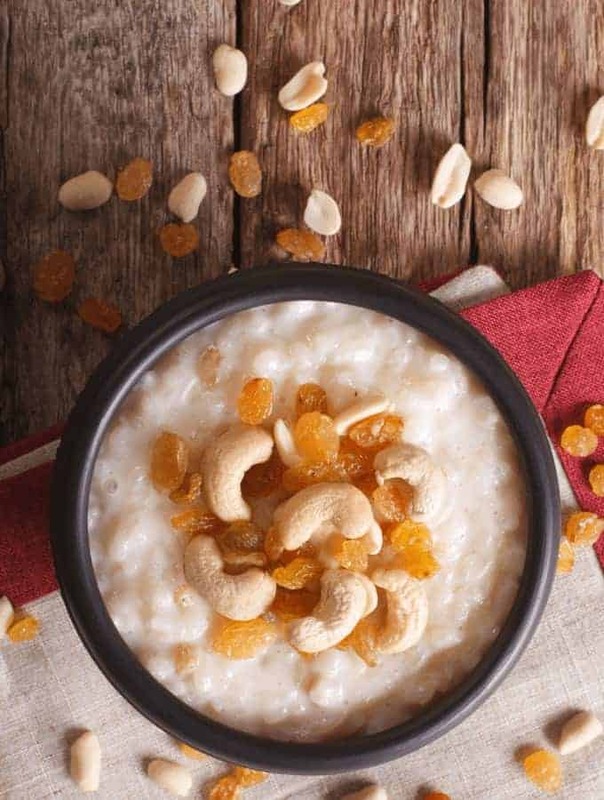 I like My Indian Kheer with the raisins and cashews cooked soft into it. If you prefer the cashews a little crunchy, fry them in the ghee first, take them out, and finish the other steps and add them back when the kheer is done, along with the cardamom. 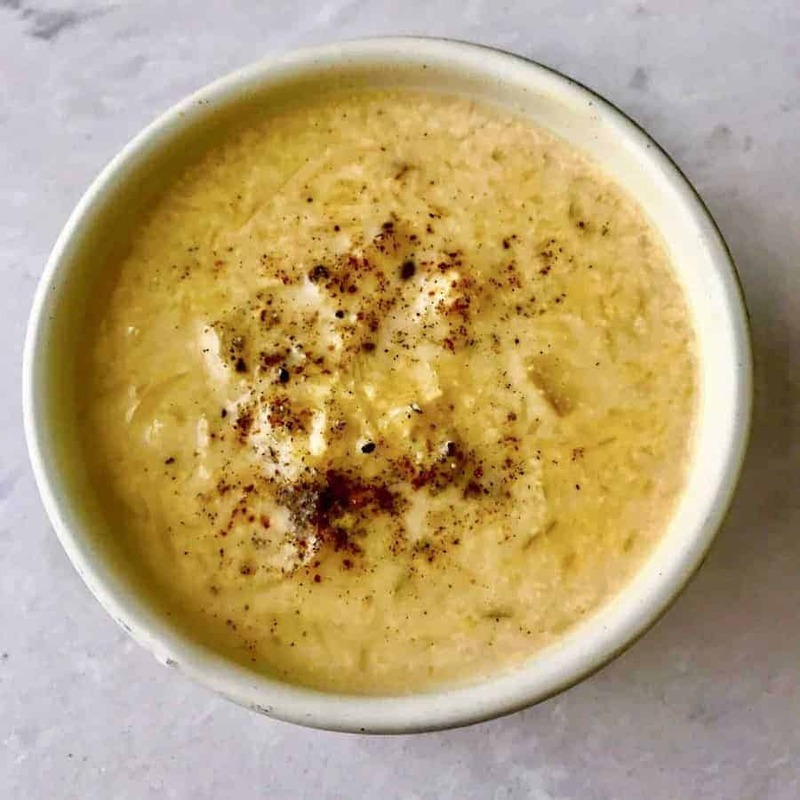 One step Pressure cooker Indian Rice Kheer makes an easy, flavorful dessert with very little fuss in your Instant pot or electric pressure cooker. Heat the ghee and when it shimmers, add the raisins and cashews. Stir and cook in the ghee until the cashews are lightly browned and the raisins are plumped. Add rice, milk, sweetener and water and cook on high pressure for 15 minutes. Allow it to release pressure naturally, as this is when a lot of the caramelizing will occur. Open it and don't freak out at the curdled milk. Stir until it's well-mixed, adding half and half a little at a time to thin it out. By this time, you will have a smooth, non-curdled kheer. Add the cardamom and chill overnight. You can eat it hot but really it's so much better the next day. Each serving is about 1/2 cup. I just made this and I’m not sure what I did wrong. It is thin and the milk did not curdle. I added the 1/2 & 1/2 already. Is there anything I can do to fix it? I used evaporated milk and 1/2 c 2% and sliced almonds. It came out perfect. Yay! I think pistachios and cranberries sound both delicious and colorful. So glad to hear this.